By now, when we see twins in cinema, we assume at least one is evil—maybe both (as in The Shining, The Krays, and Full House). Evil is probably too strong a word for Lukas and Elias. It might be fairer to say they are intense. They are also rather confused by their mother’s seemingly arbitrary behavior following her countenance-changing surgery. 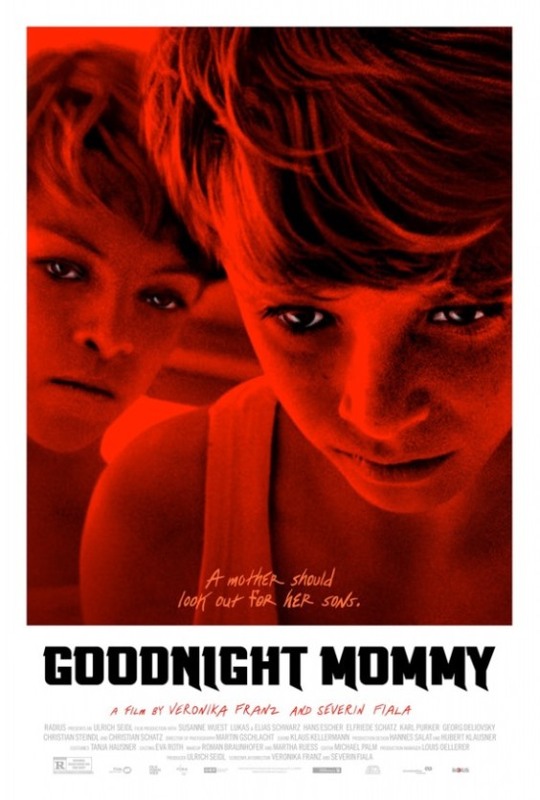 Their family drama will take a decidedly macabre turn in Veronika Franz & Severin Fiala’s Goodnight Mommy (trailer here), Austria’s recently announced foreign language Oscar submission, which opens tomorrow in New York. This is the sort of film that is dashed difficult to review because Franz and Fiala build it around some audacious misdirection. They either keep you looking in the wrong direction, or they don’t. Regardless, it is probably safe to say this family is massively dysfunctional. For some reason, the mother seems to prefer Lukas over Elias, whom she is currently giving the silent treatment. Of course, her behavior makes no sense to the brothers. Since they are inseparable, they would both be equally culpable for whatever triggered her annoyance. Her strange comportment coupled with her unrecognizable new features lead the lads to conclude the bandaged woman in the house is not really there mother. At this point, they commit to an antagonist course of action that will often be difficult to watch. Unfortunately for the woman, their house is quite remote and apparently sound-proof. 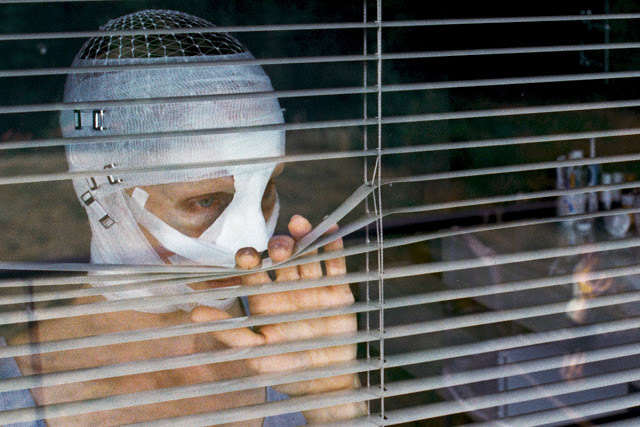 Produced by festival favorite Ulrich Seidl, Goodnight Mommy is the sort of horror film that explores corrosive psychological pathologies in the much the same manner as Polanski in his prime. There is also a big third act revelation that changes viewers’ perspective on everything that came before. Whether you see it coming or not, it is impressive how slyly the film is cut together leading up to that point. Even with Seidl’s imprimatur, it is somewhat surprising Austria has submitted a genre film for Oscar consideration, albeit one that is quite polished and rather challenging. After all, within the last ten years, they have won twice with The Counterfeiters and Amour, garnering a third nomination for Revanche. However, what really baffles is the decision not to release Goodnight Mommy in time for Mother’s Day. Seriously, it’s a natural tie-in. Recommended for fans of horror and dark psychological thrillers revolving around children, Goodnight Mommy opens tomorrow (9/11) in New York, at the East 86th Street Cinema.